Tectonic shifts in TMT at the Aussie OTT TV Summit 2017 - Blust Blust. Enjoy 4k Movies, 4k TV, 4k games and VR in full cinema definition. The 2017 Australian OTT TV Summit last week will be remembered as a watershed moment in the TMT industries. The tectonic shifts in alignment of Telco’s, Media co’s and Technology (TMT) were made apparent. Some key “elephants in the room” were aired, and we were given a true glimpse of the future. The historic AT&T union with Time Warner will give rise to a whole new generation of “Software Defined Entertainment”. If they survive the culture fusion. You need the 100Mbps NBN service (not the 25Mbps service) to watch 4K movies without the “spinning wheel of death”. Peer to peer and UDP will be a big part of the solution for video on the Internet. How media co’s incorporate games and VR will define the future of entertainment. TV broadcasters need to catch up fast. And sophisticated telco’s will outgrow traditional media deals to build new “telemedia” models. Ed Barton from Ovum reviewed how well the summit has fared in predicting trends, and 2017 was no different. He highlighted the rise of the “new TV household” and that the Comcast Xfinity STB fully integrates all partner content including Netflix, enabling an integrated catalogue and, most importantly, integrated search. Both brands benefit. Ben Loh from tonton and Anson Tan from viu highlighted just how different OTT is in Asia. From their clean white UX to the fact that 50% of Asia watches Korean dramas such as Descendants of the Sun, Goblin and Running Man. Tim Parsons from iflix showed what a bunch of Aussie gweilos can do in Asia when partnered with some of the biggest western media co’s. The changes coming in sports “broadcasting” were highlighted by Lynne Andersen from the Aussie Paralympics Committee, Marne Fechner from Netball Aus, and Shannon Donato from the South Sydney Rabbitohs. Women in sport out-rating men. Who’d have thunk it? And $100M earmarked by the NFL for “digital futures”. They were recruiting at a digital video meetup not very far away on Tuesday night! eSports didn’t rate a mention at the Summit but we predict that will be the last time that happens! On Monday arvo, Eric Kearley gave a hint of what is coming in his very entertaining pres on the marriage between media and telco cultures. “Who do you know?” versus the PowerPoint deck. And the PowerPoint deck on what should be in the PowerPoint deck! “Let’s make something, throw it out there and see if it rates” versus years of planning and decades of execution. Fast fail versus can’t afford to fail. Beginning to get the picture? It made for VERY interesting chats over drinks. Especially if Tremain Wheatley from AT&T was in the conversation. You know, one of the oldest and largest telco’s in the wold who’s buying one of the largest media co’s in the world (Time Warner)! And that was the first big elephant in the room. The fact that most of the Hollywood studios now have telco deals that will give them global distribution with globally recognised brands. Warner and AT&T, NBC Universal and Comcast, Fox and the News networks (including Sky and Foxtel), Paramount and Viacom. Sony and Disney are the last ones standing alone. The view over drinks was that Disney will “roll their their own” as they often do. They have a strong brand and have already bought the Maker Studios MCN. Sony is the big question mark. They have the advantage of a very strong gaming business, and gaming was another elephant in the room that has the potential to squash all the others for whoever gets it right. The question of who will dominate the mergers, the telco culture or the media culture, came down in favour of media. The question of what the traditional (TV) media co’s do about telco partnerships and distribution networks wasn’t so easy to answer. “In order NOT to experience the ‘spinning wheel of death’ when streaming 4K, you need the 100Mbps service, not the 25Mbps service….” – Sarah Palmer, EGM Products and Pricing, NBN. You heard it here first! “Peer to peer has to be part of the solution” – Shane Keats, Director global marketing, Media and Entertainment, Akamai. Another first! Shane also revealed that Akamai have actually objectively tested the effect of low bit rates and buffering! People were 10.4% MORE ENGAGED at 5Mbps than at 1Mbps!! And buffering caused the following changes in emotive state: surprise +27%; focus -8%; happiness -14%; disgust +9%; sadness +7%!!! At last, quantitative proof of the value of OTT quality!!!! “The inflection point [between streaming VR and local playout from a PC] has to be very carefully managed. Low end will stream via phones. High end will play out from a local PC” – Angus Stevens, Start VR. Angus gave some great examples of what is the “tip of the trunk” of the massive VR “elephant” on “day zero” of its development. The one he was still visibly moved by is Notes on Blindness which highlights the crucial ability of VR: its unparalleled ability to emotionally move the viewer like no other medium. And finally, the quote of the Summit from Shane Keats’ pres: “You never change things by fighting the existing reality. 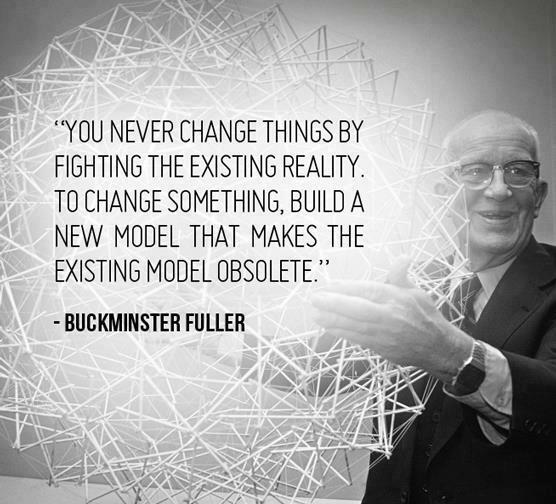 To change something, build a new model that makes the existing model obsolete” ― R. Buckminster Fuller.